Each day more Promotional Product Distributors call us and ask if our stores can integrate. Can they integrate with Ariba? Can they integrate with a custom procurement system? Can they integrate with a client’s Intranet? Can our stores integrate with any number of common or completely unique outside systems? Our answer is absolutely YES! Now that we’ve established that, what exactly is a store integration? A Company Store integration is a Company Store that is set up to programmatically share data between your store and another system. The “what” and “how” of this process comes down to what it is that you and your customer may need. What? Integrating two systems is really just about sharing information between them. So the question is, what type of information do you need to pass between systems and why? Do you want to send all Order Data from your BrightStores store to your order processing system so that you may quickly process orders? Does your client want their employee names sent to our system to programmatically create accounts for them? Do you need your inventory to share counts with our inventory? These are just a few examples of why clients use integrations in their stores. Doing so, creates efficiencies, reduces mistakes and sometimes provides for a more controlled and secure process. Some of the most common types of integrations in a company store are Punch Out integrations and Single Sign On Integrations. Punch Out Integration – A punch-out integration enables communication between your procurement system or back office software and your Bright Stores Company Store. Relevant order information can be easily and quickly delivered to the appropriate channels allowing greater levels of spending control and order management, among other benefits. Single Sign On Integration (SSO) – An SSO will permit users to enter one username and password at their company’s Intranet level and still be able to access their company store. SSO offers a single action of user authentication and authorization. Setting up Single Sign On makes store access secure, easy for users and it helps to reduce human error. How? 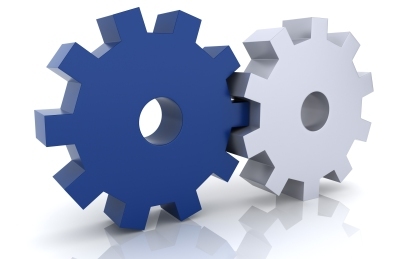 Integrations can seem daunting if you don’t understand them. We get that because we work with Distributors daily who need an integration for their client but don’t have a good handle on how to make it happen. That’s where BrightStores can help. We have been integrating stores for longer than most companies have offered stores. It’s easy for us to help you with your integration project for two big reasons: Software and People. Software – Our BrightStores Company Store platform was built to support and run standard and custom integrations from the beginning. Years ago we could see how important it would become to integrate and therefore streamline the whole ordering process. We were right. It has indeed become an essential component of the company store to be able to integrate for those clients that need it. We are proud to provide a solution that supports your client’s integration, regardless of how easy or complex it is. People – At BrightStores, our programming and technical team KNOW integrations. They know our industry, they know our software and they know how to integrate Company Stores. They’ve been doing it for years and as a result, they do it very well. Our team of integration experts will work as your partner to help make your integration project a success.